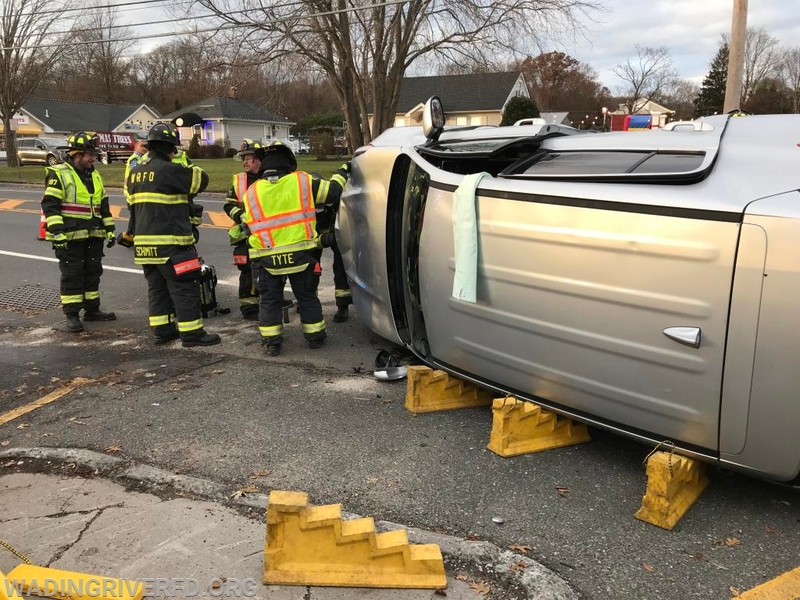 On Sunday November 25, 2018 at approximately 1533hrs the Department responded to Rt.25A just west of Wading River Manor Rd. 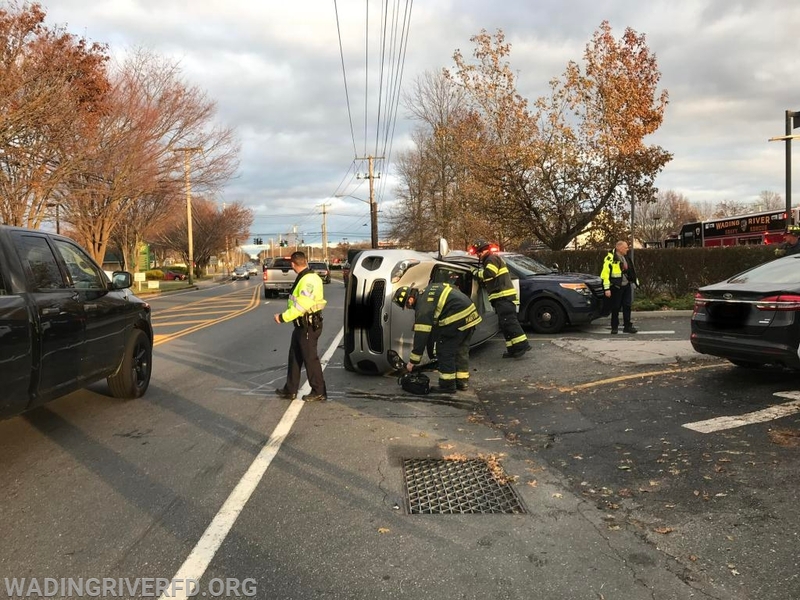 for a Motor Vehicle Accident, involving an overturned SUV. Upon arrival, Department Members treated and transported two vehicle occupants to a local hospital. Firefighters secured both vehicles and contained a small fluid spill. All units were back in service at 1658hrs. Units: Chief 30, Chief 31, Chief 32, Chief 33, Medic 80, Fire Police 5, Rescue 10, Ambulance 16, & Ambulance 17.